At the age of 29, Gary Player became the third man in history to win the Grand Slam. He is the only modern golfer to win The British Open in three different decades and he was the oldest player to make the cut at The Masters in 1998 at 63 years of age. Not just the most successful international golfer of all time, the Black Knight also lays claim to over 300 golf course designs around the world and believes that “We create success or failure on the course primarily by our thoughts”. African Fairways invites you to play on some of South Africa’s most spectacular and uncompromising golf courses in The Eagle Experience. Upon arrival at Johannesburg International Airport, you will be met by a friendly African Fairways representative and assisted with a scenic three-hour transfer to “Africa’s Kingdom of Pleasure” - Sun City. This internationally acclaimed family resort lies deep in the heart of a long-extinct volcano and is surrounded by the imposing Pilanesberg Mountain Range. You will be staying at the Sun City Hotel on a two nights’ bed and breakfast basis. There is a feast of family treats like the beach and waterslides at the Valley of Waves, a variety of sporting activities including tennis, squash and volleyball and excellent wildlife experiences in the nearby Pilanesberg Reserves. One of the major draw-cards to this world-class resort is the opportunity to play on two first-class championship golf courses designed by the Black Knight - Gary Player. Today you will kick-off your Gary Player Experience at the home of the prestigious Nedbank Golf Challenge; The Gary Player Country Club. After an early morning start, you will be transferred to Buhala Lodge situated 15 minutes away from Leopard Creek Country Club in Mpumalanga. Accommodation here is on a three nights’ full board basis including scheduled activities. Your time at the lodge will be spent unwinding from the stresses of daily life in the phenomenally beautiful African bushveld and enjoying early morning and late afternoon game drives where, if you’re lucky, you’ll experience the Big Five. 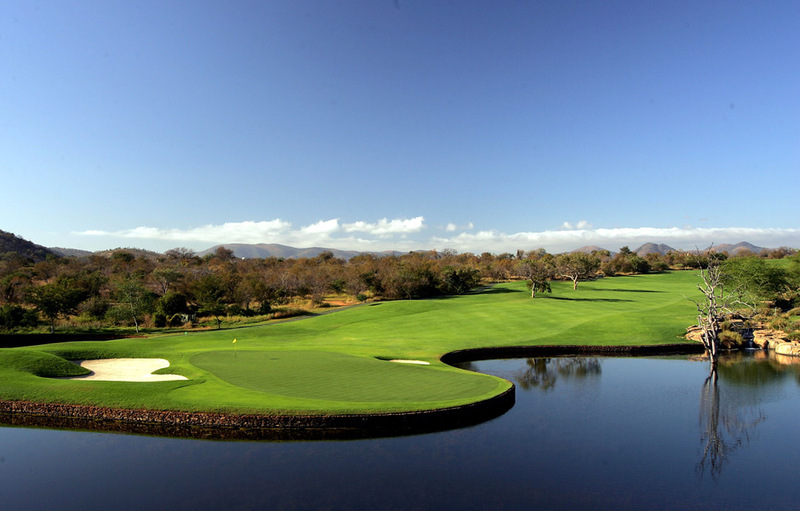 During your stay in the Bushveld, you will be playing at Leopard Creek Country Club. 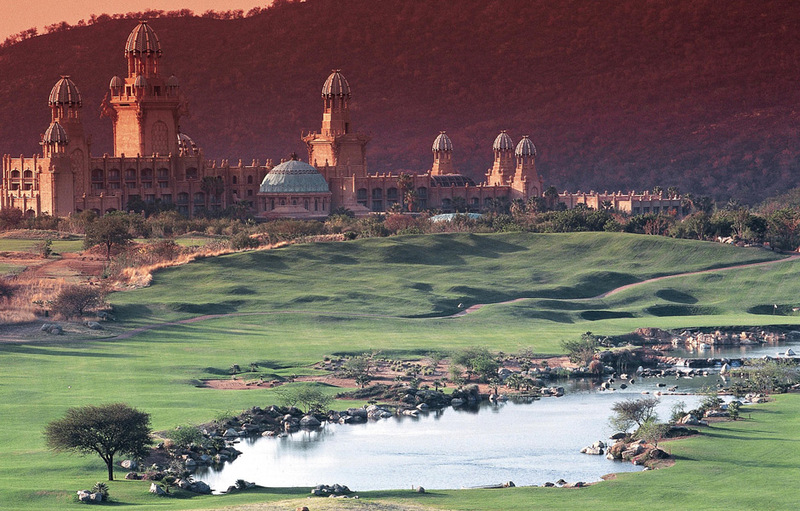 Johann Rupert and Gary Player had a vision of a perfect golf course. They felt it should be one on which friends could come together for enjoyable 18-holes; yet also challenging and stimulating enough for the world’s top golfers. Currently ranked No. 1 in South Africa, it previously held the top spot for six straight years. 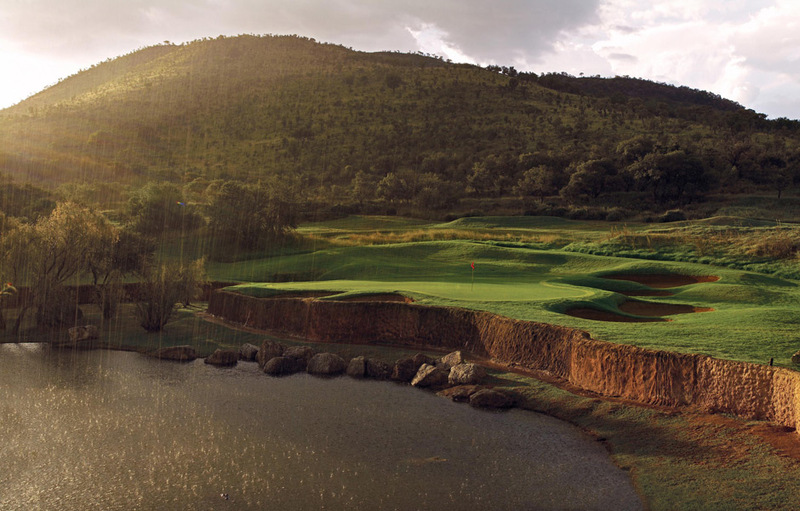 Leopard Creek is ranked 80th on the 2011 World Top 100. Today you will be assisted with a road transfer to Kruger Mpumalanga International Airport where you board a scheduled flight to George Airport via Johannesburg International Airport. Upon arrival at George Airport, you will be assisted with 15 minute transfer to The Fancourt Resort Hotel and the Manor House where accommodation is on a three nights’ bed and breakfast basis. 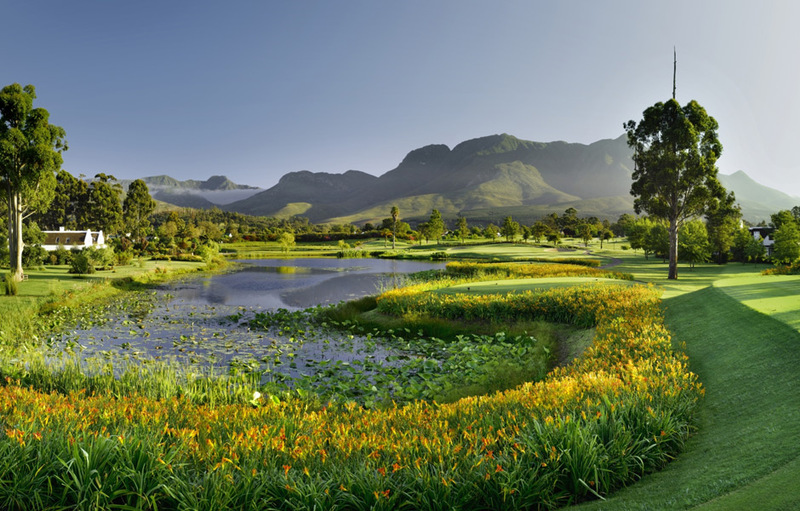 Fancourt is the jewel of the Garden Route, an area known for its glittering white beaches, sheer cliffs that plunge into the Indian Ocean and the majestic Outeniqua Mountains. The resort evokes a genteel tranquillity and old world charm. 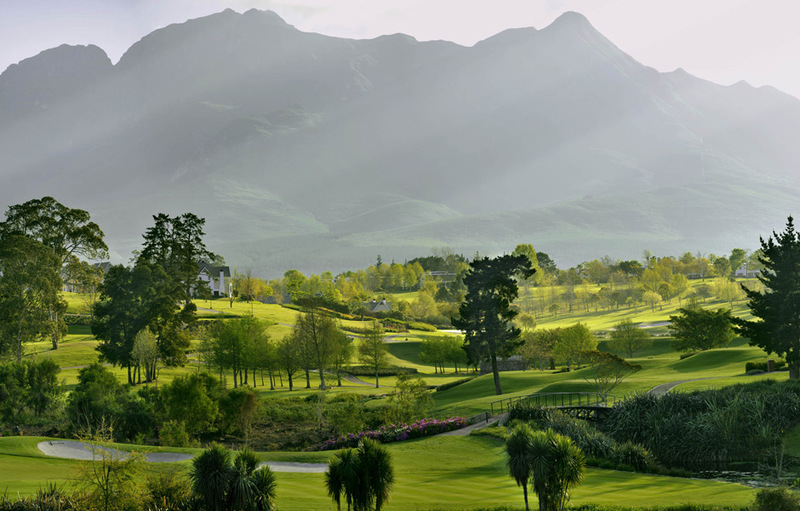 For the discerning golfer who does not compromise on the course or in his life, a visit to Fancourt with its three superior courses (Fancourt Links, Montagu and Outeniqua) will exceed all expectations. 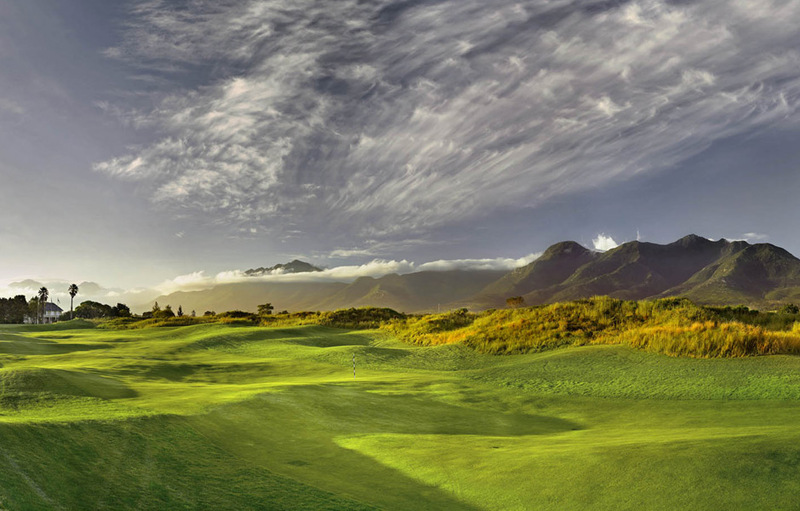 Spend three glorious days playing these magnificent courses all ranked in the South African Top 20. Board a scheduled flight from George Airport to Cape Town International Airport. You will then be assisted with a private transfer to the Cape Royale Hotel where you will be spending three nights on a bed and breakfast basis with dinner as an optional extra. Set against the iconic outline of Table Mountain, with panoramic views over the city and Atlantic Ocean, Cape Royale Luxury Hotel and Residence provides an enclave of luxury and refinement right in the heart of South Africa’s most beautiful metropolis. From the grand and elegant façade and entrance, to the intimate and relaxed atmosphere of the designer-furnished suites, the Cape Royale is the first choice for discerning travellers seeking the very best in comfort and convenience. With ample living and entertainment areas in all suites, a choice of two restaurants, state-of-the-art executive meeting rooms and boardrooms, a Spa and Wellness Centre and gym and roof deck pool and bar. The Cape Royale is a landmark hotel in Cape Town. Today you’ll find yourself on the alluring Erinvale Golf Course, flanked by tranquil vineyards on one side and spectacular ocean views on the other. Spend the rest of the day at leisure touring the Winelands, sampling of some of the best wines and gastronomic delights that South Africa has to offer. Alternatively, enjoy the sunny white-sand beaches of Camps Bay or Clifton; take a trip to Robben Island where the ex-president Nelson Mandela was once exiled, or take a cable car to the top of Table Mountain – recently voted one of the new Seven Wonders of the World. Flights from OR Tambo Int. to Cape Town Int.